As Orange County prepared to send its delegates to the Fifth Provincial Congress, its people commissioned their representatives with a document outlining their desires. This document was handwritten by Thomas Burke, who chaired the committee to draft a constitution in April, 1776 and who later became governor of North Carolina. Instructions to the Delegates from Orange in the Halifax Congress, to be held in November, 1776. We, the people of the County of Orange, who have chosen you to represent us in the next Congress of Representatives delegated by the people of this State require you to take notice that the following are our instructions to you which you are required to follow in every particular with the strictest regard. First, We desire you to consider the following propositions as maxims to which you and every other delegate shall plainly and implicitly subscribe and assentThese seven "maxims" or principles are worded carefully and legalistically, but their point is that supreme political power comes from the people, and that governors, legislators, and judges are their servants. The people make and approve the constitution, and state officials must obey it. These ideas were becoming widespread in America by 1776, but former Regulators must have been especially happy to see them put into writing. and which are to be the foundation of all your following proceedings. Political power is of two kinds, one principal and supreme the other derived and inferior. The principal and supreme power is possessed only by the people at large, the derived and inferior power by the servants they employ. Whatever persons are delegated chosen or employed or intrusted by the people are their servants and can possess only derived inferior power. Whatsoever is constituted and ordained by the principal supreme power cannot be altered, superseded or abrogated by any other, but the same power that ordained may alter suspend or abrogate its own ordinances. The rules whereby the derived inferior power is to be exercised are to be constituted by the principal supreme power and can be altered, suspended abrogated by the same and no other. No authority can exist or be exercised but what shall appear to be ordained and created by the principal supreme power or by some derived inferior power which the principal supreme power has authorized to create such authority. The derived inferior power can by no construction assume authority injurious to or subversive to the principal supreme power. Secondly. We require that the civil and religious constitutionAgain, the constitution must be approved by the people before it can go into effect, and only the people (not the legislature) can change it. which we apprehend to contain the rules whereby the inferior derived power is to be exercised be framed and prepared by the delegates and be sent to every County to be laid before the people for their assent if the people shall think proper to give it, to the end that it may derive its authority from the principal supreme power and be afterward alterable by that alone agreeable to the fifth maxim before set down. Thirdly. We require that in framing the religious constitution you insist upon a free and unrestrained exercise of religionNorth Carolinians should be free to practice the religion of their choosing and should not have to pay taxes to support any church. Remember that until the Revolution, the Church of England (Anglican Church) was the official church of North Carolina, supported by taxes -- which angered people of other religions. The document also insists that ministers of any religion be able to perform marriages -- another frequent complaint in the backcountry. to every individual agreeable to that mode which each man shall choose for himself and that no one shall be compelled to pay towards the support of any clergyman except such as he shall choose to be instructed by, and that every one regularly called and appointed shall have power to solemnize marriages under such regulations as shall be established by law for making the marriage contract notorious: Provided however, persons who are intrusted in the discharge of any office shall give assurances that they do not acknowledge supremacy ecclesiastical or civil in any foreign power or spiritual infallibility or authority to grant the Divine Pardon to any person who may violate moral duties or commit crimes injurious to the communityThis section refers to Catholicism and the Pope. Most Protestant Americans feared a "Papist" government in which the Catholic Church would overrule the will of the people. This document insists that no elected official could be openly subservient to the Pope, though it doesn't explicitly say that officials must be Protestant. -- and we positively enjoin you that on no pretence you consent to any other religious constitution or that the establishing of this shall be waived, postponed or delayed. Fourthly. We require that in framing the civil constitution the derived inferior power shall be divided into three branches, to wit: The power of making laws, the power of executing and the power of judging.derived inferior power shall be divided into three branches, to wit: The power of making laws, the power of executing and the power of judging. This sets out the three branches of government. Eighteenth-century philosophers argued that government's powers should be divided this way, and that "checks and balances" should be established so that no branch's power (and no one person's power) could grow too great. As a reminder, the legislative branch is the legislature (General Assembly, Congress, House of Commons), which makes the laws; the executive is the governor (or president, or king) and other officials who enforce the laws; and the judicial branch is the judges and courts, which determine guilt and innocence. By keeping these different powers in separate hands, revolutionaries intended to avoid the kinds of problems they had experiencecd recently with King George III, royal governors, and (in the Carolina backcountry) corrupt officials. Fifthly. That the power of making laws shall have authority to provide remedies for any evils which may arise in the community, subject to the limitations and restraints provided by the principal supreme power. Sixthly. That by such limitations and restraints they shall be prevented from making any alterations in the distribution of power or of depriving any individual of his civil or natural rights unless by way of punishment for some declared offence clearly and plainly adjudged against him by the judging power. Seventhly. That the executive power shall have authority to apply the remedies provided by the law makers in that manner only which the laws shall direct, and shall be entirely distinct from the power of making laws. Eighthly. That the judging power shall be entirely distinct from and independent of the law making and executive powers. Ninthly. 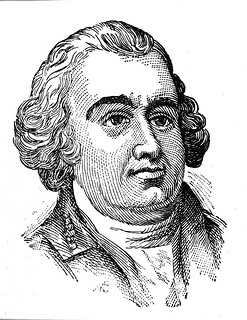 That no person shall be capable of acting in the exercise of any more than one of these branches at the same time lest they should fail of being the proper checks on each other and by their united influence become dangerous to any individual who might oppose the ambitious designs of the persons who might be employed in such power. Tenthly. That in constituting the law making power the same be divided into two Assemblies each independent of the other and both dependent on the peopleBritain also had a bicameral, or two-part, legislature, but only the House of Commons was elected by the people; the House of Lords consisted of men holding inherited titles..
Eleventhly. That one Assembly shall consist of Representatives chosen by all the freeholders and householdersFreeholders were people who owned land, while householders were heads of households, that is, adult men who paid taxes. It was widely assumed at this time that a man who did not own property did not have a real "stake" in society, and that since he relied on someone else for his home and his income, he might not be independent enough to be trusted in politics. Property requirements for voting lasted in most states well into the 1800s. Benjamin Franklin argued against property requirements for voting, making fun of the idea: Today a man owns a jackass worth 50 dollars and he is entitled to vote; but before the next election the jackass dies. The man in the mean time has become more experienced, his knowledge of the principles of government, and his acquaintance with mankind, are more extensive, and he is therefore better qualified to make a proper selection of rulers -- but the jackass is dead and the man cannot vote. Now gentlemen, pray inform me, in whom is the right of suffrage? In the man or in the jackass? and the other Representatives chosen by the freeholders only. Twelfthly. That all elections shall be by ballot.Many colonial elections were done by voice, in public. That meant that voters' intentions were always clear, but it also meant that voters could be influenced to vote a certain way -- for example, by people to whom they owed money. Reformers wanted a secret ballot to ensure fair elections. Thirteenthly. That in constituting the executive power the same be made elective every yearFinally, they insist on term limits for governors. The governor should be elected every year and should serve for no more than three years in a row, with a three-year break in between. That way, no one man could gather too much power over time and grow to be like the royal governors or the kings they served. and that no person shall be capable of serving therein more than three years or capable of being elected thereto until he has been three years out. Saunders, William L. 1776. "Instructions from inhabitants of Orange County to their delegates for the Provincial Congress of North Carolina," The Colonial Records of North Carolina. Volume X, 1775-1776: 870f-870h. Raleigh, Josephus Daniels, Printer to the State, 1886. https://archive.org/details/colonialrecordso10nort (accessed July 11, 2018). "Thomas Burke, 1781 - 1782. From the General Negative Collection, State Archives of North Carolina, Raleigh, NC. ; call #: N_75_1_280 Thomas Burke. Available from http://www.flickr.com/photos/north-carolina-state-archives/8407659227/in... (accessed July 9, 2018). The Colonial Records of North Carolina: Volume X, 1775-1776, part of a ten-volume series collected and edited by William L. Saunders and published from 1886-1890. The series includes documents and materials covering the earliest days of North Carolina's settlement by Europeans through the ratification of the United States Constitution.